Cookie lovers dreamâ€¦ Quest Protein + Cookie + Donut = YUM!! Take the cookies and cream quest bar and crumble into pieces. Add 1/3 cashew milk and melt in the microwave until smooth. Add other ingredients and mix until smooth. Bake at 350 degrees for 10 min. Recipe makes 9 donuts. 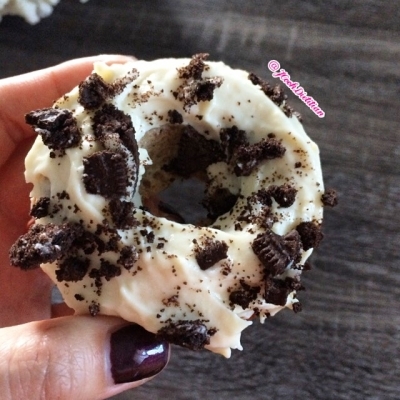 Mix all ingredients an top donuts with frosting and crumbled cookies! ðŸ˜„ Enjoy! !